When you organize a trade show, you know that great break-out sessions and classes are an integral part of your success. They are a way to gather exceptional speakers, valuable sponsors, and excited participants, as well as generate interest and respect for your company as the event organizer. Session tracking, as we discussed in part one of this series, is an essential way to utilize those classes to benefit everyone. The hard data session tracking offers can help you understand your audience’s interests, provide you with quality information on participants, and provide a way to quantify your return on investment. Session tracking is especially critical if you offer continuing education classes, where accurate proof of attendance and unambiguous certification tracking are both necessities. 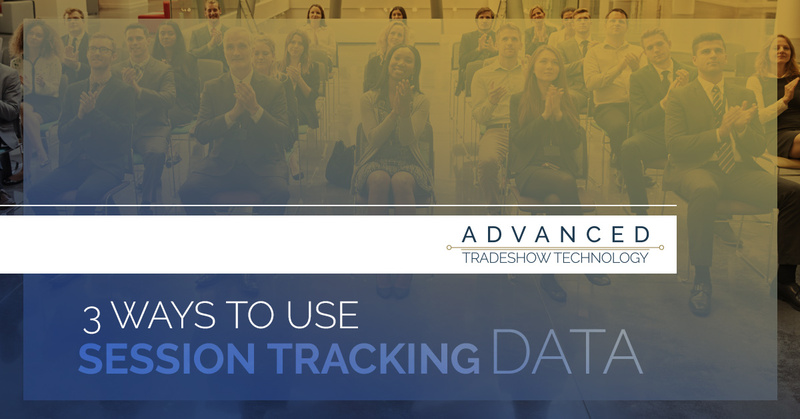 Today, in part two of this series, we will continue our discussion on the value of session tracking with an outline of how you can use this data to make your trade show better and to improve future expos. Keep reading to learn more and contact Advanced Tradeshow Technology to take your event to the next level. We offer session tracking services customized to your needs and objectives, as well as a range of other trade show services designed to help make your trade show a resounding success. We don’t believe in cookie-cutters — we create every project as it comes with a fresh approach to management every time. When you want a trade show management company with expertise, creativity, and a dedication to integrity, call Advanced Tradeshow Technology! When you have session tracking data at your fingertips, you have the evidence of what truly interests your audience. What topics or speakers are generating the most traffic? Where are the big decision makers spending their time? You can also learn who your event participants are — do they make up your intended target audience or did you miss the mark? With all of this information at your disposal, you can better tailor your event to achieve your company’s objectives. You can create sessions that are more relevant to your attendees, or your trade show marketing team can use the data to craft a marketing strategy that better reaches your target audience. Session tracking data doesn’t necessarily need post-show analysis to be useful to you. With Advanced Tradeshow Technology, you can have fast, accurate information and you can use our other trade show services to make real-time changes to your event. If a session is pulling low attendance numbers or people are often leaving before the session is over, you can use our online registration system to re-energize your event and modify courses, titles, and topics on demand. 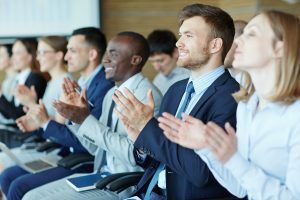 If a particular break-out event is in high demand, you can make changes to room reservations or scheduling, and you have the option to add repeat sessions or courses. With session tracking, you don’t have to spend time, energy, or money on dead topics. You can react quickly to improve the trade show experience you provide. Session tracking can help you make changes to your current event, but the true value of that data comes into play when you begin planning next year’s trade show. You can make decisions based on hard numbers about which speakers and topics are worth the investment of your time and money. If a speaker drew a large audience, they might make a valuable keynote speaker. You may also want to use a topic with high attendance numbers as a theme for your next expo. Another use for session tracking data is anticipating long lines and crowded spaces; you can also strategize which session may deserve a more popular time slot or a bigger room. On top of helping you identify opportunities for the future, detailed session tracking information also provides you with the opportunity to accurately, quantifiably report your success to the leadership at your company as well as potential exhibitors and sponsors. That kind of data is invaluable. Session tracking can help make this year’s event better and give you the information you need to make next year’s trade show the best one yet. You can assess the popularity of different topics and speakers, determine the best use of your time and money, and improve your return on investment while improving your participants’ experience. Without hard data, you may as well guess how your event is currently performing or how you can improve in the future. Don’t leave your success to chance — contact Advanced Tradeshow Technology today for the customized trade show services you need.